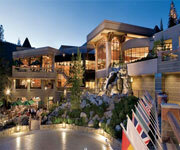 Ski bus trips to Lake Tahoe operates from early December to mid-April (ski season). 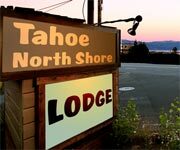 Lake Tahoe Ski bus trips has more than 20 convenient pick up spots across the Bay Area. Bay Area Ski Bus offers scheduled bus-trips only (not an “anytime” shuttle service). Transportation times for Bay Area snowboard trips to Tahoe are subject to change due to weather and road conditions. Bay Area Ski Bus -- 100% Convenient & Fun! Features: Bay Area Ski Bus is a fun and convenient way for folks to travel to some of the best ski resorts in Lake Tahoe. Offering round trip transportation, snacks, drinks and movies, customers of all ages can enjoy a relaxing and cozy ride. Ski bus trips to Lake Tahoe can carry as many as 50 guests but each trip is broken down by age group. Bay Area Ski Bus offers separate trips for adults, families and teenagers. Special group, school and church trips are also available. Know Before You Go: Ski bus trips to Lake Tahoe provides everything you need for an enjoyable and memorable trip to some of the best ski resorts in the region. No need to worry about gas, chains or driving back home tired after a full day of skiing, with Bay Area Ski Bus you can sit back, relax and converse with fellow riders, take a nap or watch a movie. A one-day trip adult ticket costs $129 and includes the bus ride, lift ticket, continental breakfast and after-ski snacks and drinks. What To Expect: One day Lake Tahoe ski bus trips depart as early as 4am (depending on the pick up location). Buses are quiet and riders can sleep comfortably in plush seats. In the morning, breakfast is served, including bagels, muffins, juice and yogurt. 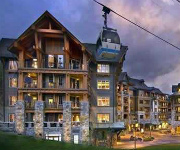 Guests will be dropped off at their chosen ski resort where they can play until 4pm. On the return ride home there is a dinner stop but refreshments including soda, water and hot cocoa are provided on the bus. Riders can choose to relax and read a book, watch a movie or sleep on the ride home. 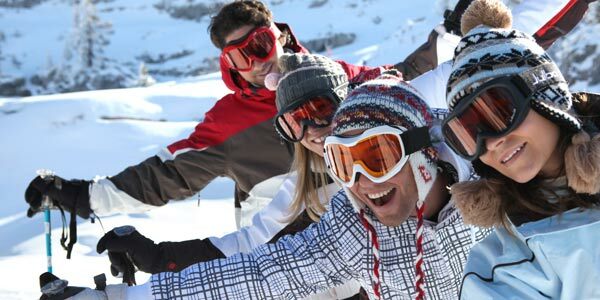 What To Bring: Those who have their own ski or snowboard equipment should bring it with them but DO label all belongings. 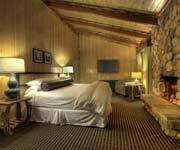 Guests should also bring warm ski clothes, waterproof gloves, sunglasses or ski goggles. Not a Party Bus: Bay Area Ski Bus provides a fun and entertaining atmosphere for riders. Adults can drink alcoholic beverages including wine and mimosas and special "singles" trips encourage socializing and mingling. However, rude, loud or obnoxious people will not be tolerated on ski bus trips to Lake Tahoe.